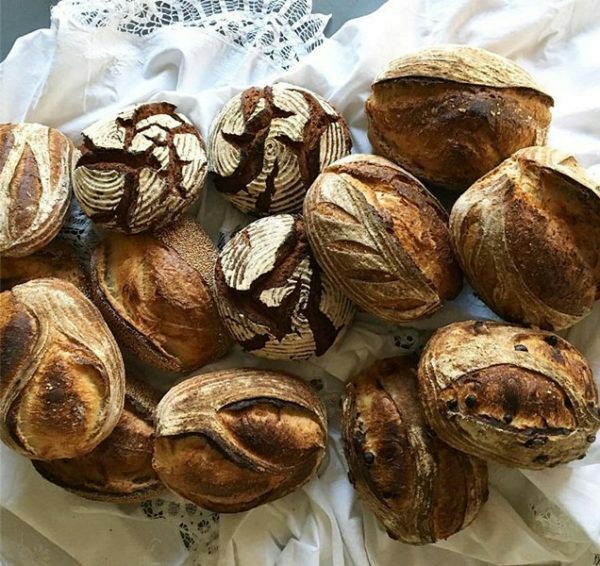 Becoming a bread baker takes a particular kind of craziness. Especially when you’ve never baked a loaf of bread before. 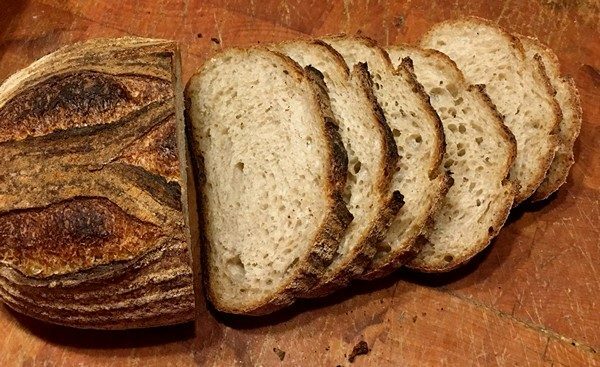 For Cynthia Kinahan of Pawling Bread Company, it seemed like a natural transition from a pottery course she was taking because “a lot of the moves and principles are quite similar”. If this was a movie, the first loaf would have been perfect, but this is real life and the first loaf was a disaster. She decided that she wasn’t going to stop until she had a decent loaf of bread and that became her goal. Every day she would rush home from work, pull out her recipe and start making bread. Still no great loaves. The real breakthrough came when she decided to toss the recipe and go by feel. “I think that was the first time I really connected with the craft of making bread”. 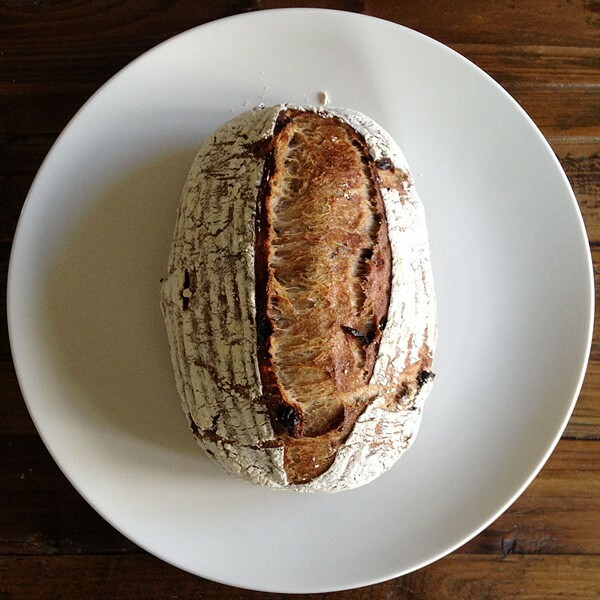 Although the first loaves were yeast based, as Cynthia gained confidence, she wanted to start making breads with a sourdough starter. Her passion for baking shows in the breads. To start with, they’re beautiful (it’s where her background as a graphic designer comes through). A cruise through her Facebook page on an empty stomach is pure torture (and if you have any idea how good the breads are, that just makes it worse). Cynthia has given me the spelt bread and the country loaf to taste and both were terrific! As I’m lucky enough to be able to access more artisanal breads, my preference seems to be for the more complex breads, in this case the spelt. She’s got an extensive variety of breads ranging from classics like her popular country bread, to ones like Earl Grey Apricot (one I’m really looking forward to trying the next time it comes on the menu—hint, hint), Olive Lemon Rosemary and for the holidays a cherry, cranberry walnut loaf. If you’re lazy, or just hate to get out of bed on a Saturday morning, McKinney & Doyle’s bakery in Pawling carries her Sundried Tomato bread every Friday and Saturday. I’m not sure if they’ll save you a loaf, but it’s probably worth a call. 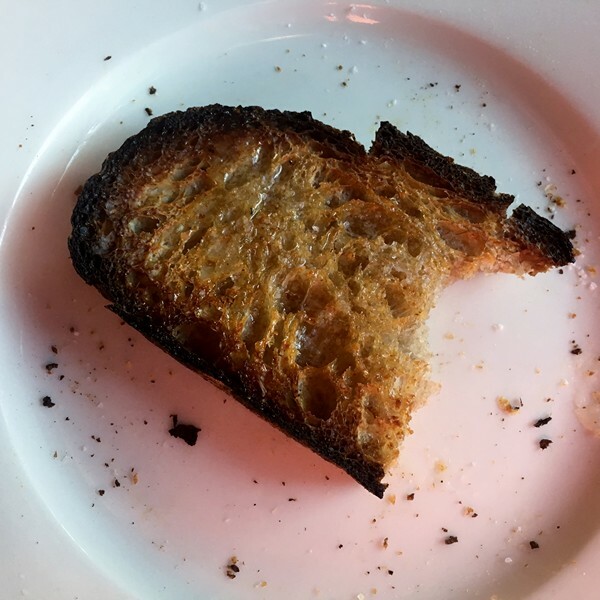 And, yes, the bread is so good that I do think of dragging myself out of bed and driving 35 minutes to Pawling on a Saturday morning. They’re in a pop-up shop at 10 East Main Street (that will someday be their new home) from 9:30-12. This Saturday is the last pop-up before Thanksgiving so be forewarned! Thanks to Cynthia for the two loaves, I’m looking forward to many more! The top photo and the cranberry bread photos are theirs. Thanks for the great bread! It been fun getting to know you! Thank you so much for this wonderful write-up, Anne!